Medical malpractice takes many forms. You may have received a misdiagnosis that prevented you from seeking treatment you needed. 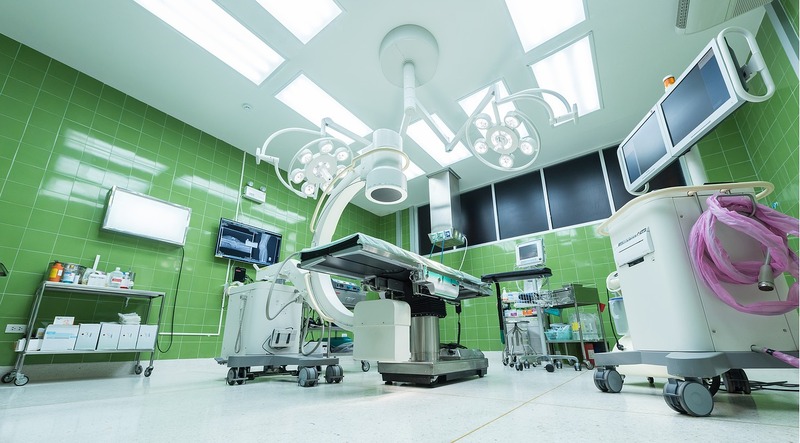 You may have faced an anesthesiology error that resulted in surgical complications. Or you might have experienced a surgical error that led you to chronic pain. You’re physically hurt or impaired. You didn’t get the treatment you needed or got the treatment you didn’t need. No matter the case, you’re going through something, physically, that you didn’t have to go through. Your trust was betrayed. We intrinsically trust medical professionals, so it’s deeply unsettling to learn that one has misled us, or caused us more pain. You’re considering legal action. It’s only fair to seek compensation for the damages you’ve incurred, but medical malpractice cases can be long, complicated, and stressful to you and your family. So what can you do to cope with these stresses? Your medical malpractice lawyer will make all the difference. A competent, experienced lawyer will be sympathetic to your plight, and help you understand the process clearly from the beginning. They’ll make the complications of a medical malpractice suit seem approachable and familiar, and they’ll be aware of your psychological and emotional needs throughout the process. Shop around to find the person who seems most capable of supporting you through this endeavor—and getting you the compensation you deserve. There are support groups available for almost any psychological or emotional need you can think of. Depending on where you live, there may even be a support group specifically for victims of medical malpractice. If not, there will likely be a group for support of chronic pain, or depression, or any other collection of mental and physical symptoms you face. Support groups are, as the name suggests, universally and unconditionally supportive. You’ll find lots of other people facing the same problems as you, and a soundboard where you can express your feelings without judgment. If you’re experiencing chronic pain because of the malpractice, make sure you’re attending physical therapy regularly, or at the very least, are practicing exercises designed to alleviate that pain. Even a few minutes a day may be enough to keep the pain at bay. Plus, the regular practice will keep you active and give you a sense of routine, both of which are important while you go through this ordeal. In almost all medical malpractice cases, you’ll need another doctor to help you understand your injuries or condition. For malpractice victims, this is a difficult process. You’ll have to start it by overcoming a rational fear you’ve developed after your previous experience. Then, you’ll have to find someone qualified and sympathetic enough to treat your injury properly. On top of that, you may be worried what might happen if they find out you’re considering legal action for medical malpractice with another doctor; after all, physicians often avoid malpractice suits like the plague. Get some recommendations from friends and family members; chances are, one of them has a close or semi-close relationship with a physician who can help you. Go out of your way to work on a new skill, or pick up a new hobby. This is important for several reasons. For starters, it will give you a distraction; you’ll be able to fall back on this hobby if you’re out of work, or if you’re waiting on a particularly arduous part of the litigation process. It may also introduce you to new people, who can provide you a more stable social network. It may also be able to take your mind off the pain and stress you’re experiencing, especially if you’ve picked up something like meditation or exercise. Choose carefully, and practice consistently if you want to make the most of this. Finally, rely on your family and friends as a network of support. If you ask them for help, they’ll be there for you. In some cases, you might want someone to keep you company during a particularly stressful evening. In others, you might need a ride to a legal office. It may be hard to voice your needs and ask for help when you’re already feeling helpless, but being open can help more than you realize. Medical malpractice isn’t fun, no matter how you look at it, but you can minimize its negative effects on your life by employing these important strategies. You can’t undo what was done to you, but you can learn to cope with it—and the people around you can help.